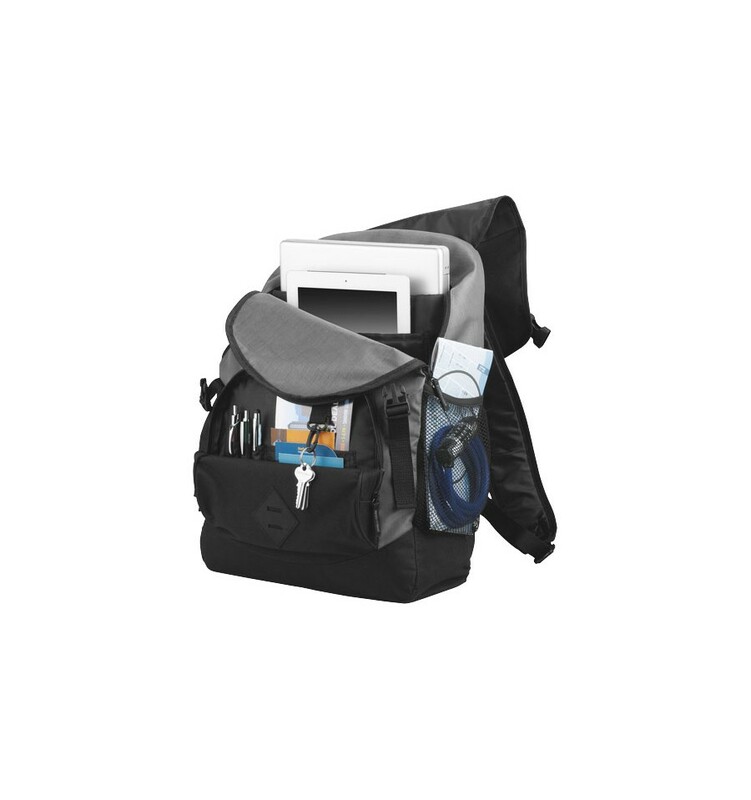 This computer backpack holds up to 17" laptops. Front pocket features deluxe organizer. Large main compartment holds your computer in a padded compartment as well as your iPad or tablet in a dedicated padded pocket. 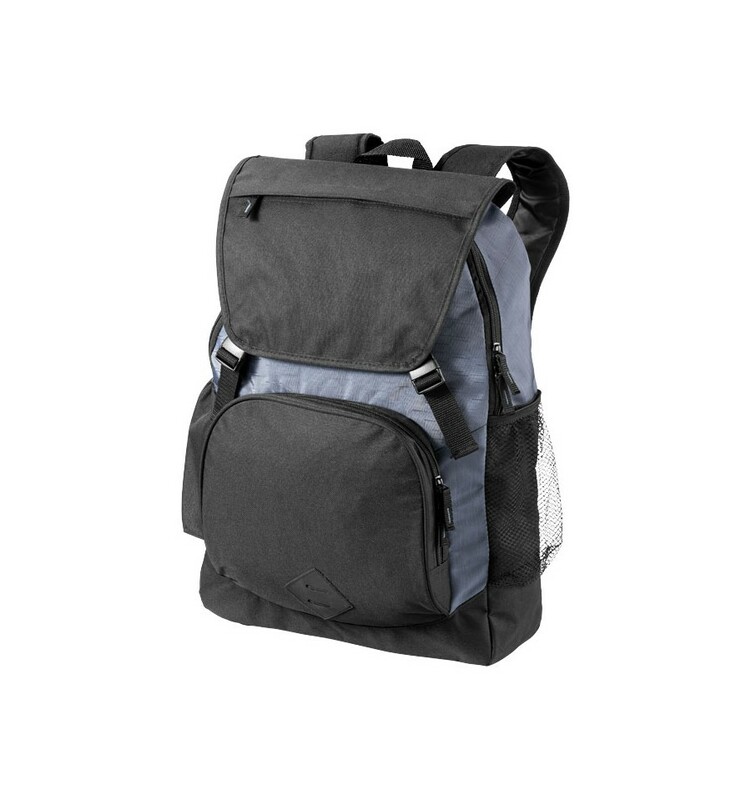 Front flap buckles to the body of the bag with an additional zipped pocket. 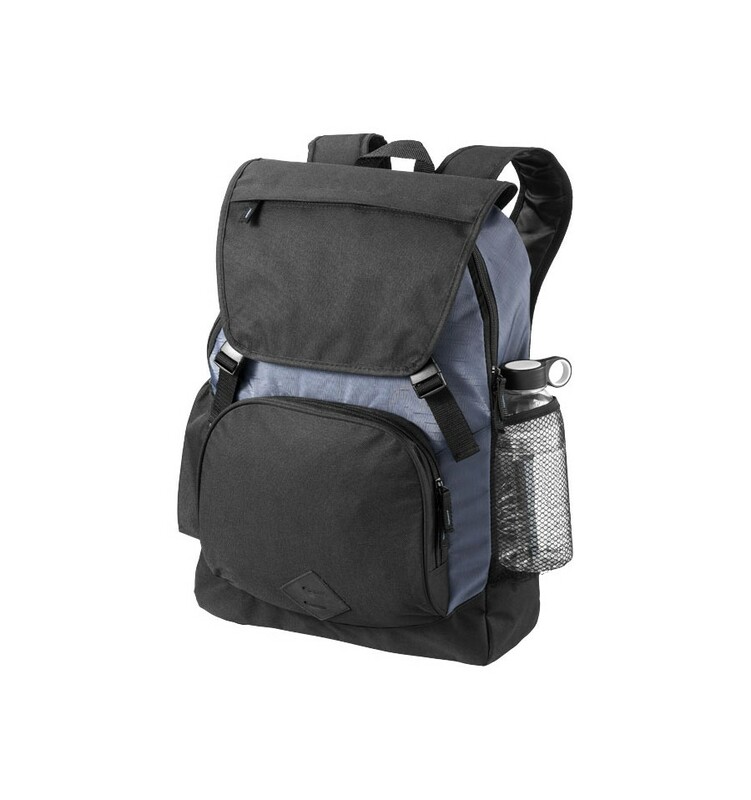 Also features two side pockets.